Between the seaside sunsets, charming towns and excellent wine, here are the best cities in Spain to set the mood. 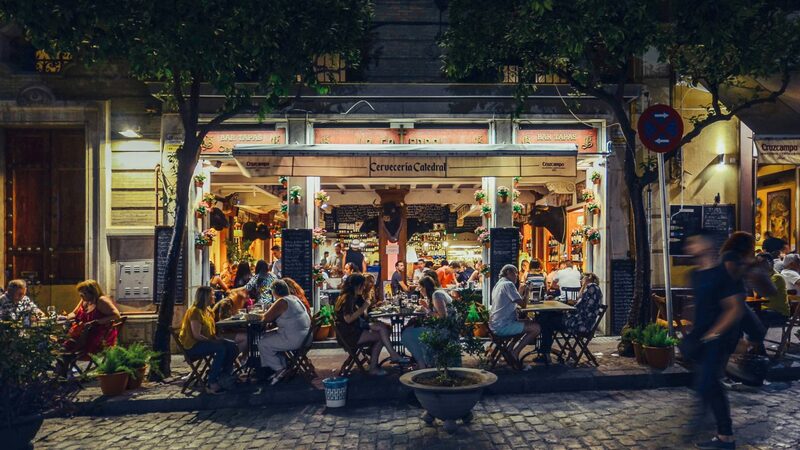 Charged with a permanent feeling of intense passion, emotion, and sophistication, Spain has a funny way of forcing you to slow down, live in the moment, and enjoy the simple pleasures of life. Is it the constant flow of red wine and drool-worthy tapas? Or perhaps the picturesque architecture and scenery? What about the super friendly locals? The constant strumming of the Spanish guitar that’s never too far away? Whatever it is, Spain has an irresistible romantic charm to it that few places on earth can match. Sunset at the Alhambra palace, Granada, Spain. Upon first glance, Granada seems like it was designed specifically for couples. The serene architecture, Moorish tea culture, spontaneous flamenco shows and hillside miradores (especially at sunset) all contribute to the overall alluring atmosphere. The old-world Arabic influence can be found in the Andalusian town’s lavish teaterías and traditional bathhouses, both of which make for a relaxing and intimate experience. Granada is almost always sunny during the day while its elevation means it gets quite cold at night, so it’s not a bad idea to snuggle up over some aromatic, warm drinks. 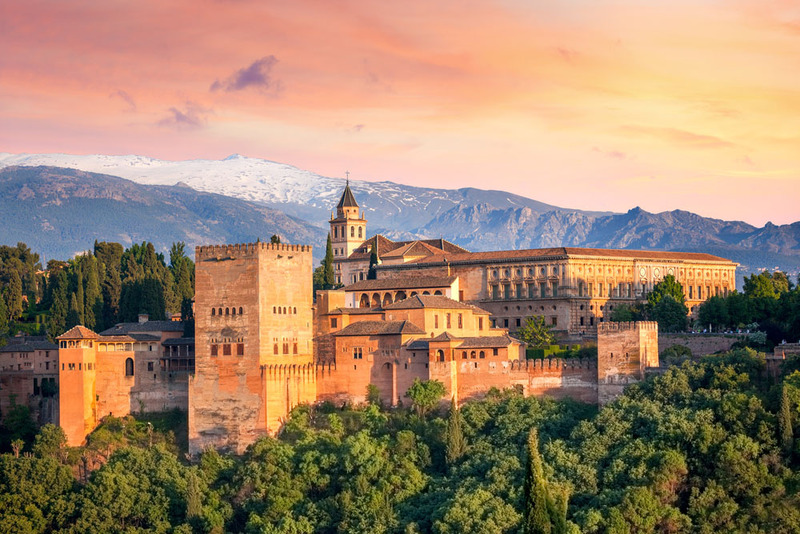 The Alhambra Palace at sunset is an exceptionally captivating sight as you look down upon the hillside landscape set against the Sierra Nevada Mountains in the distance. This stunning view lands Granada on our list as one of the best cities in Spain for couples. 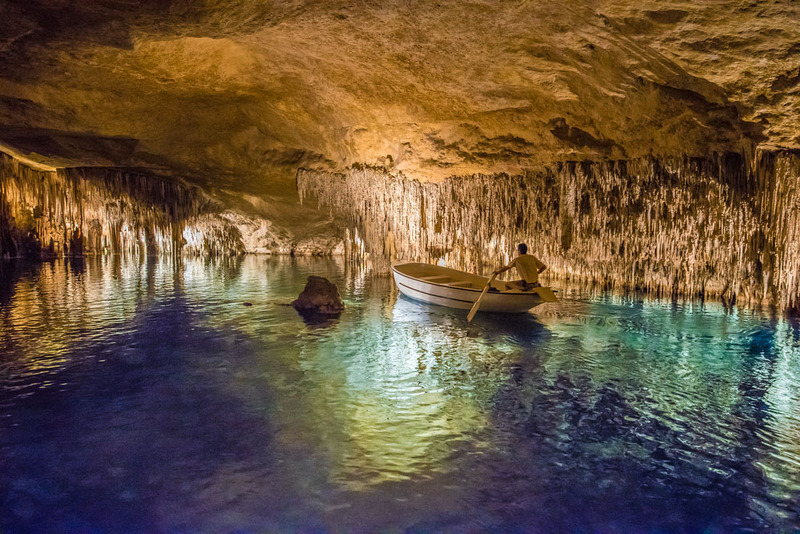 Cuevas del Drach, Mallorca, Spain. While Ibiza, and its party scene that doesn’t stop until well into the morning, may be the most well-known of the Balearic Islands, sunny Mallorca has become a popular escape in its own right. The Mediterranean hideaway is perfect for couples who want to leave all the stresses they came with on the mainland and enjoy an adventurous honeymoon. From the unspoiled beaches and hidden caves to the stunning coastlines and enchanting villages steeped in romantic charm, the surroundings of Mallorca will leave you in awe. The resort island shines as the sun sets–whether you’re hand-in-hand on your own secluded beach or watching from a cliff top terrace over a bottle of wine. Riverside vineyards, La Rioja, Spain. Known for its world-famous wine tradition that goes back generations, the autonomous community of La Rioja is a wonderful getaway to indulge. 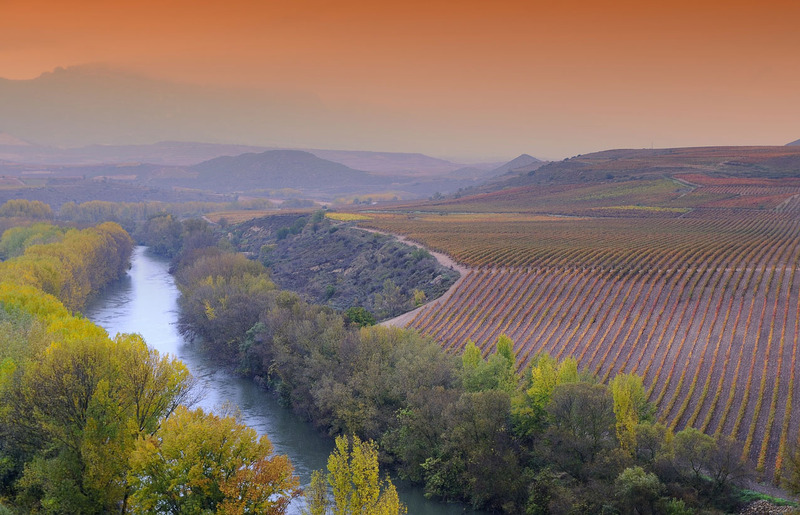 The beautiful terrain of this region in northern Spain revolves around the mighty Duero River that cuts across the ochre terrain. The charming wine estates are scattered across the countryside and offer tours and tastings, or you can even make your own bottle together. Dine well at winery restaurants of pinxto bars and you’ll see that the culinary scene of La Rioja goes head-to-head with just about any other region of Spain. 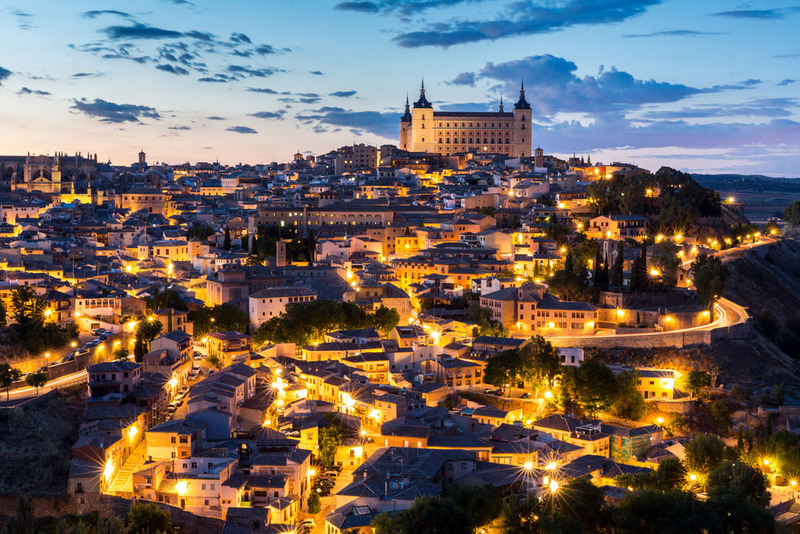 Cityscape at dusk, Toledo, Spain. Sitting an hour outside of Madrid, the fortified town of Toledo comes complete with a castle atop a gorge. Christians, Muslims, and Jews peacefully coexisted for centuries in the famous “city of three cultures” and the resulting blend of architecture and culture is a captivating reminder. It doesn’t matter whether you’re admiring a church, mosque, or synagogue, as Toledo is sure to leave you spellbound with its medieval charm and cobblestone streets that wind down to the Tagus River below. A weekend spent in one of Europe’s most historic cities will surely have its share of scenic vistas, cozy terraces, leisurely strolls, and culinary delights. 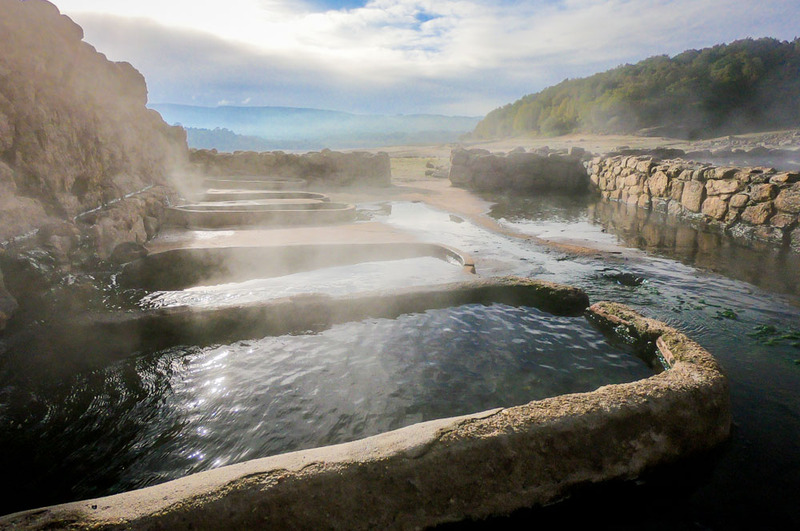 Natural Roman hot springs, Galicia, Spain. Galicia is breathtaking in more ways than one. Tucked away in the northwest region of the Iberian Peninsula, the “land of 1,000 rivers” certainly lives up to its name. Follow the mountain ranges and rivers to the coast and you won’t be disappointed by the windswept coves, green clifftops, deserted beaches, and small fishing villages. Take a walk down the colorful seaside architecture that brushes up against the Atlantic Ocean, where you can enjoy some of the best seafood in all of Europe. This often forgotten corner of Spain has some of the most pampering experiences to enjoy together, including thermal baths and secluded spas. No list of the best cities of Spain would be complete without mentioning Seville. Seville feels like a Hollywood’s idea of Spanish romance: sunny plazas, magnificent fountains, flamenco-dancing gypsies, matadors, serenading guitarists, horse drawn carriages, and rows and rows of tapas bars. The sheer exuberance of Seville forces you to live in the moment with your loved one, while it’s also a picturesque destination to fall in love. Whether admiring the greenery of Parque María Luisa or hand-in-hand under the colorful buildings of the Santa Cruz quarter, it’s difficult not to get swept up in the passion that fills this seductive Andalusian city. Colorful houses at river Onyar, Girona, Spain. Rounding out our list of the best cities in Spain for romance, we have the largest city in Catalonia not named Barcelona. Girona offers couples a charming experience like none other. The walkable city holds an endless amount of historical treasures to go along with its quirky selection of delectable eats. 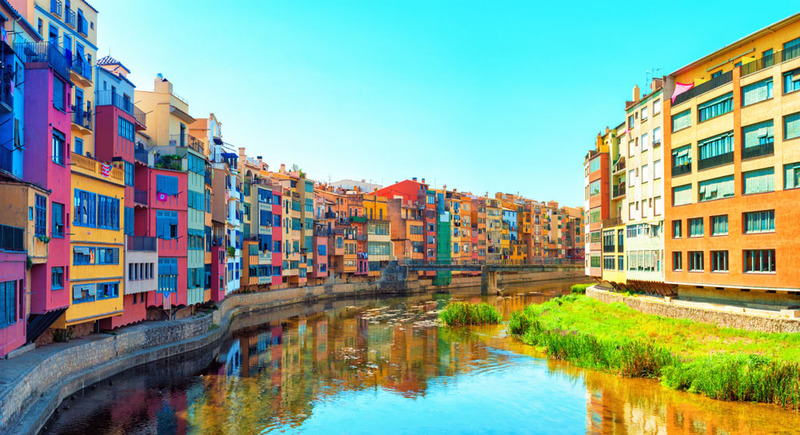 One of the most beautiful sights in the city is the Onyar River and the multicolored houses that hang over it. Located a stone’s throw from the Mediterranean Sea, Girona is the ideal gateway to the wide selection of quaint villages and stunning beaches of Costa Brava, meaning you’ll be spoiled for choices when it comes to afternoon trips.